I don't know about you, but I take a vitamin supplement every day. My food choices aren't always great and it is often a struggle for me to eat the recommended daily amount of vegetables; I'm pretty selective about which ones I like and very confident that I am not eating the ones I don't. So I take a vitamin every day to help fill in the gaps that my diet leaves. The verses preceding this tell us that we are to do this because God has given us all that we need and allowed us to share in His nature. His gifts are not given to us IF we supplement our faith. The gifts have already been bought and paid for (thank you Jesus!). Rather Peter is making that point that while our faith saves us (Ephesians 2:8), it should motivate us to want to do something in return. And in the doing sometimes our faith needs some gaps filled in because we aren't feeding our faith properly, and the list he provides helps us to strengthen the health of our spiritual life - our faith. So let's take a look at these things. Virtue is an outward show of our moral values. This is where we walk the walk and talk the talk. God says don't steal, so we don't. We know lying is wrong so we choose to tell the truth in love instead. It is possible to behave virtuously and not have faith, but if you have truly have faith it is impossible to not have virtue as well. Knowledge is gained by actively studying God and His word. You can have a set of morals based upon your understanding of God, but you have to take the time to know Him, to understand His character. Not everything we encounter in this life will have a neat Bible verse to turn to. Sometimes we have to make decisions based upon what we know of God and his character. That is why knowledge is so important. Godliness, or devotion to God that results in a life that is pleasing to Him, is something I strive for daily. When we keep this goal at the forefront of our mind it will affect every aspect of our lives. Living a life for God is to trust in who He says He is and to devote yourself to Him. That trust helps to fill in the gaps when our faith wavers, when we don't understand why things are happening we can choose to continue living our lives for Him because we know He has our best interest at heart, that He loves us. Brotherly love, or phileo, is to feel affection for others. This is where we open our eyes to those around us and choose to really see them. 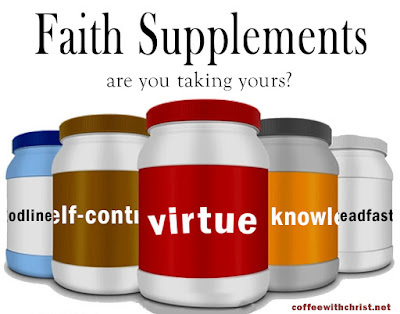 All of the previous "supplements" have been about personal growth. This one asks us to look outside ourselves and start looking at people the way Jesus does. They may not be perfect, but they are our brothers and sisters trying to make it through this world just like we are. Some are even worse off, because they don't know they aren't alone on this journey; they haven't met Jesus yet. Here we are called to not only recognize them but to care about them. And when you start caring you get a glimpse of God's love in a special way. THAT is a definite faith boost. 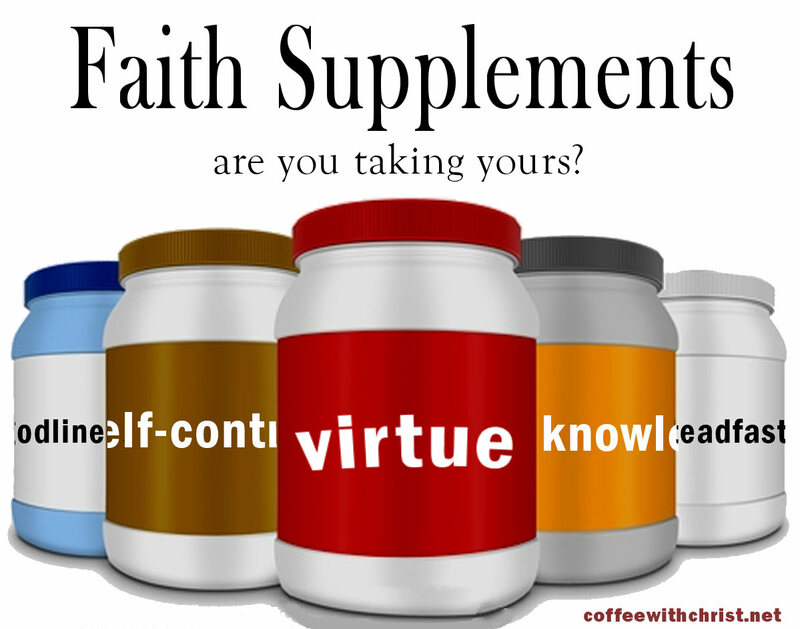 So today I ask you, have you taken your supplements? Maybe you should!